Make a statement with this striking architectural card fold. It's so easy to create, all you need to do is take a square card blank and make a few score lines - simple! 1. 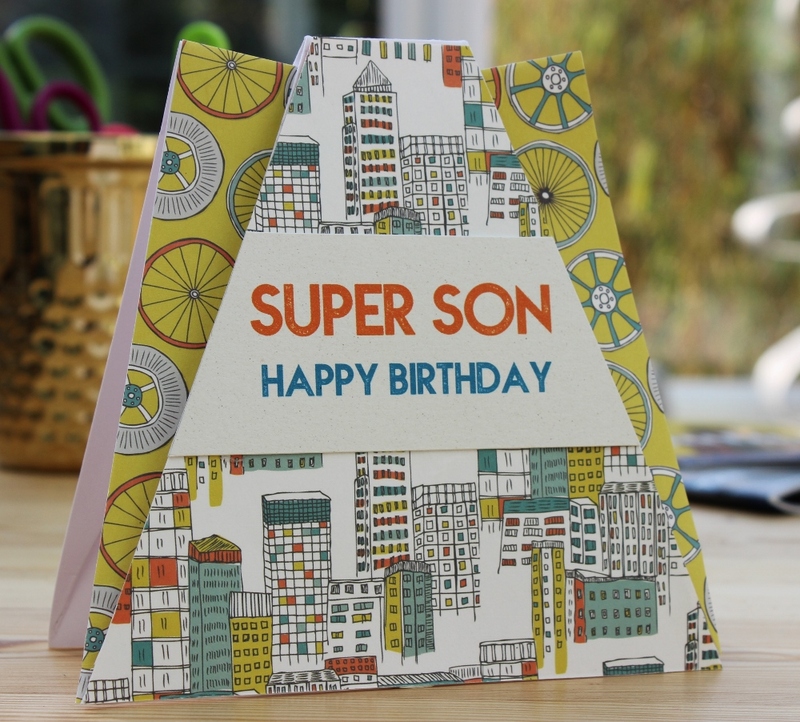 Stick a strip of paper across the bottom edge of a 15 cm square card. Add washi tape to the remaining three edges and a panel of heart design paper in the centre. 2. 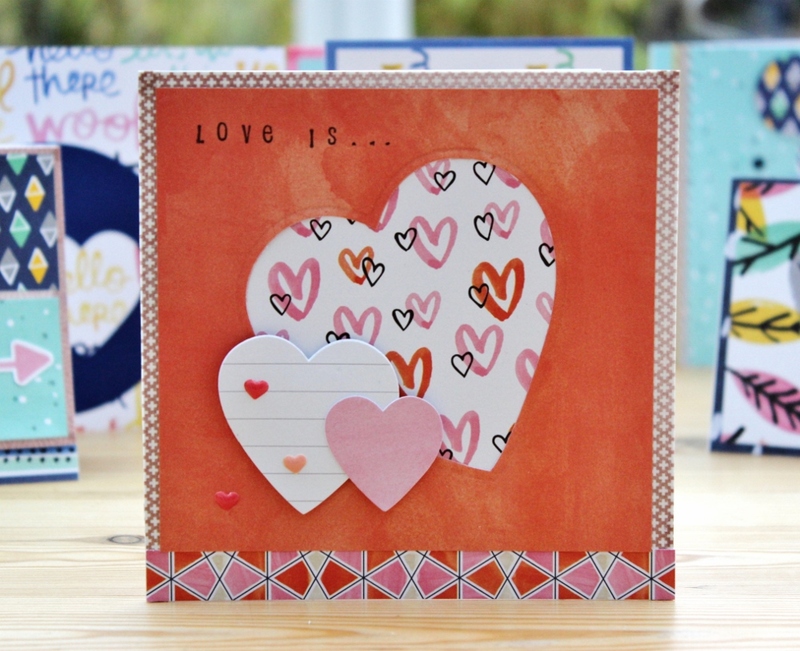 Die cut a heart from a 14 cm square of orange paper and stamp a greeting near the top left hand corner stick to the card and add two smaller paper hearts mounted on foam pads.Finish with heaart shaped enamel dots. For more quick and easy Valentine's Day craft ideas check out my Pinterest board.